You might’ve heard about the mayhem that is the online Lush Christmas Sale… But if you haven’t, count yourself lucky. This was my first year attempting to get onto the site for the 50% off sale that started at 10am on Boxing Day. I thought I was being clever waiting until the afternoon to check the site (thought things might’ve died down a little by then), however I couldn’t have been more wrong and was greeted with a counter on my screen telling me there were over 30,000 people in front of me. Oh, not ideal. Luckily I have some very lovely friends and after putting it out to Facebook to see if any of them had managed to get onto the site, one was on the site at that moment and very kindly offered to order for me, and the parcel arrived last week! 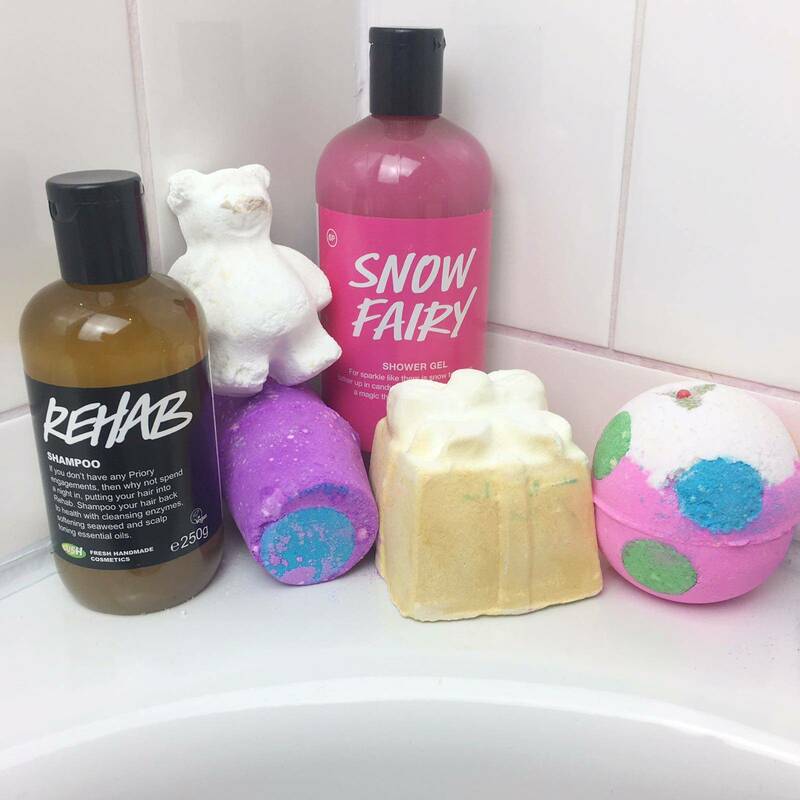 The Lush Christmas range, including all the items in the photo above (except for the Rehab Shampoo which was a Christmas present from my auntie) is only available during the Christmas period, with most of them returning year after year. Which is the case for the first item in my haul to mention – Snow Fairy Shower Gel. This is an incredibly popular product, with almost everyone I know absolutely loving it. It has a delicious, sweet smell, akin to candy floss, with a pink colour and subtle shimmer. Last year I bought two 250ml bottles of this off a friend after she bought a whole load during the sale and they just about lasted me through the year. Hopefully this 500ml bottle costing £5.40 in the sale, will last me through to 2017! In the past I’ve only tried two Lush Bath Bombs (Intergalactic & Shoot For The Stars), so had to grab some more for cheaps, whilst I had the chance, to try out this winter. 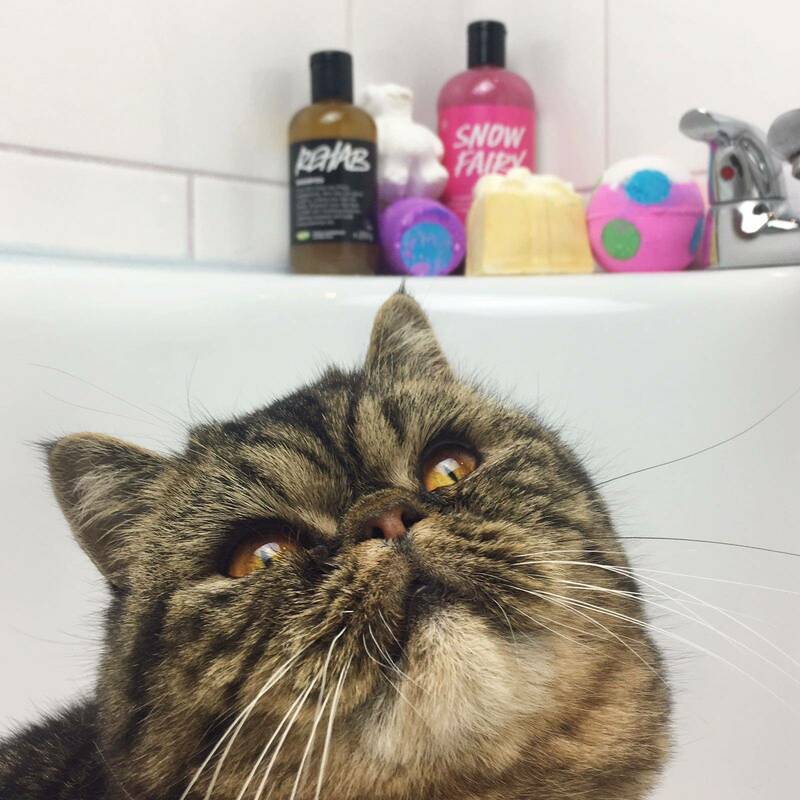 I’m going to post lil reviews of each of my Instagram using the hashtag #LuisasLushBaths! 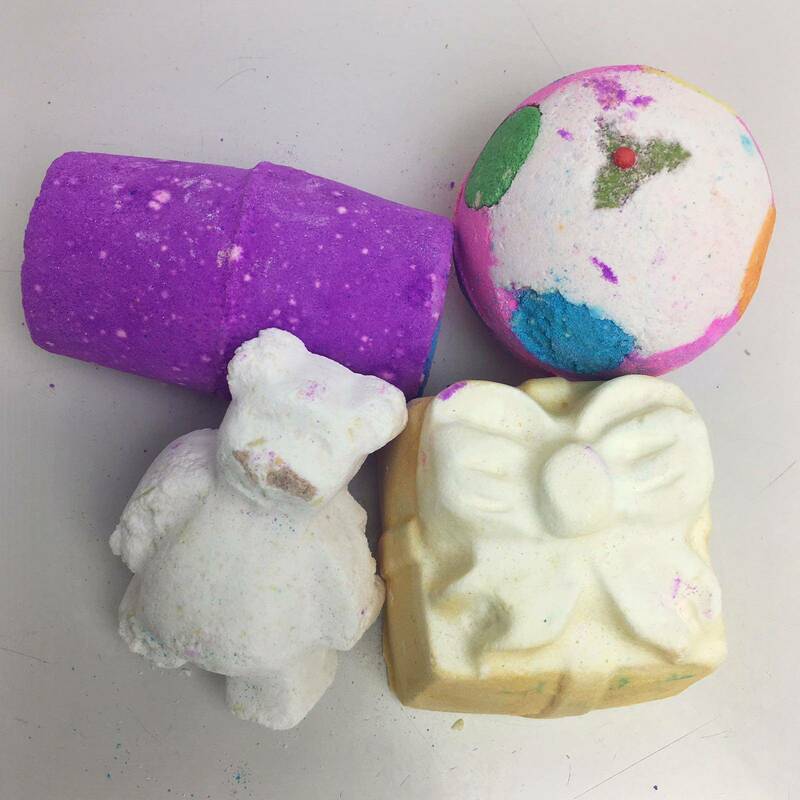 Northern Lights (£1.65) – a purple cylindrical bath bomb (with one blue and one yellow side), has a musky floral smell, and is probably the one I am the most excited to try. 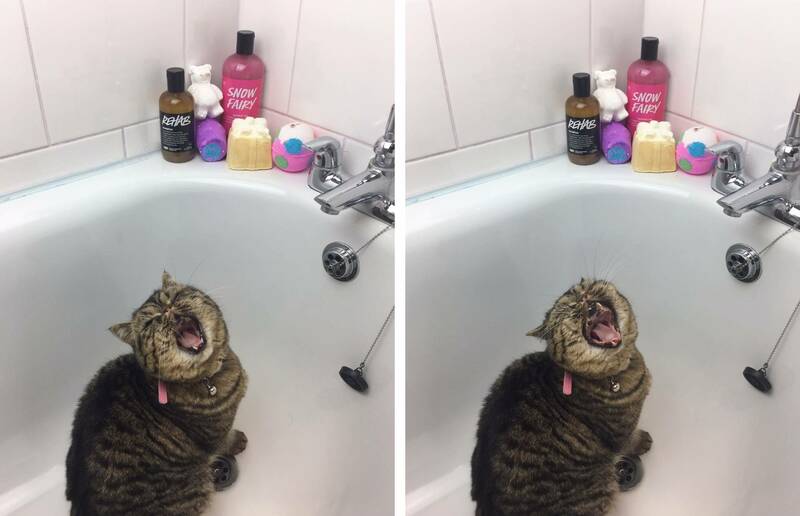 After seeing videos and photos on social media, it looks like makes the bath water very beautiful and colourful. Luxury Lush Pud (£1.78) – a colourful bath bomb, with a cute little Holly design on top, and a slight smell of Lavender. I don’t think it’s as aesthetically pleasing as the others, as it has of a mish mash of colourful splodges on it + the Holly design. But I look forward to trying it! Golden Wonder (£1.78) – a shimmery gold present-lookin’ bath bomb (which instantly makes anything it gently touches very sparkly) smells warm and citrus-y (is that even a word?). Apparently as it dissolves in the bath it really is like a present, with loads of unexpected colours appearing. Butterbear (82p) – a cute little white bear that smells of creamy vanilla, packed with cocoa butter to help keep your skin soft. So sorry to bore you, Ozma. Compared to most of my Lush obsessed friends, I’m a relatively new convert (within the past 2 years or so). If I’m honest, a few years back I didn’t really “get” what all the fuss was about, and when I was younger walking past the shop, the smell was a little overwhelming. But after getting some bits and bobs as gifts, attending the Lush Creative Showcase 2016 in the summer, and knowing that all of their products are cruelty-free (and mostly vegan too) I’m enjoying exploring the products available. Unfortunately most of the products listed in this blog are exclusively from the Lush Christmas range and only available with the festive stock (apart from Rehab Shampoo, which is available all year round), but most of them do come back year after year… To check out the current range of products Lush available, check out the website here (the bath bomb specific page is here). Which Lush products do you love? 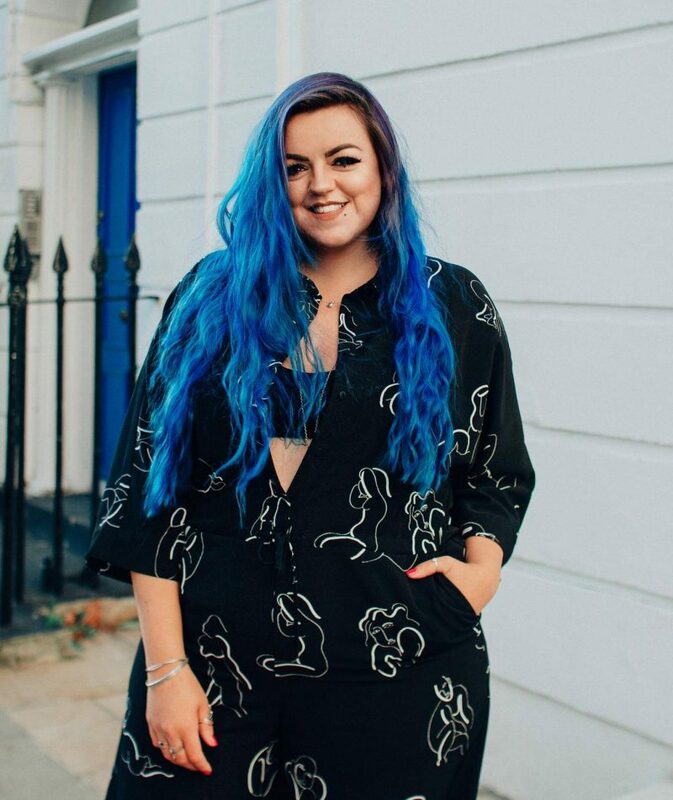 Would love to hear about your faves & recommendations for me to try next, in the comments! If you enjoyed this, you might like my post about the Cruelty-Free cosmetic products I picked up at Olympia Beauty 2016. American Dream conditioner and Herbalism masks are a definite go-to for me. I use the Ultrabland cleanser daily too, but it has beeswax in it so unfortunately isn’t vegan ? I’m a pretty new convert too but couldn’t be bothered to queue up online! By the way, Ozma totally sold this post to me; that lil squishy face!! Yeh the huge online queue was sonewhat ridiculous, I was so lucky a friend offered to get stuff for me 🙂 what’re your fave products as a new convert?